The residential experience is about learning and growth stimulated by the constant interaction among faculty and student peers of great talent, character and leadership. It greatly extends and enriches the overall educational experience. Mealtimes and other gatherings offer opportunities for informal interaction as well as for discussions, meetings, language tables and study groups. The focus of the residential programme is on students’ intellectual, social, spiritual and physical growth in a structured and ethical environment. Many of the least tangible but most important elements of an education – the development of practical leadership skills, the capacity to make ethical judgments, the ability to navigate through complex cultural settings – are formed outside the classroom. The safe and secure environment of each Academy’s boarding facility gives students of all backgrounds the opportunity to thrive emotionally, intellectually and physically. In general, four students share a room. The rooms are spacious with high ceilings and large windows. Other facilities include a student lounge with a large-screen television, dedicated study areas and a laundry facility. 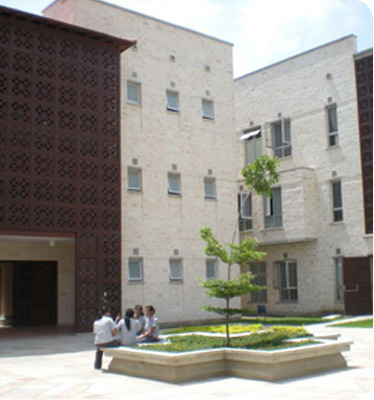 In addition, the Commons, the heart of the campus, houses the dining hall and an array of spaces for school activities. It is the hub of student activity, serving as the Academy’s main space for major school functions, including music and drama performances and public lectures.